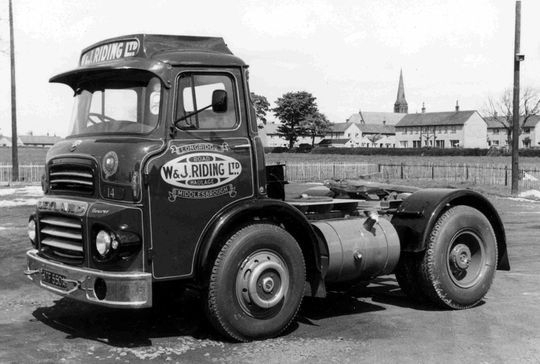 After serving their time at W & J Riding many of the vehicles in the fleet were later sold on to other operators. One in particular, which is documented here in detail was L.A.D. Cabbed Leyland Beaver Reg No ATF 550A which had an eventful life eventually ending it's days in Rongai Kenya. Registered new on the 1st of November 1963 at a cost of £2,854,14s,6d Leyland Beaver model 14B/17R Reg No ATF 550A was powered by a Leyland 600 power plus engine rated at 140 BHP. 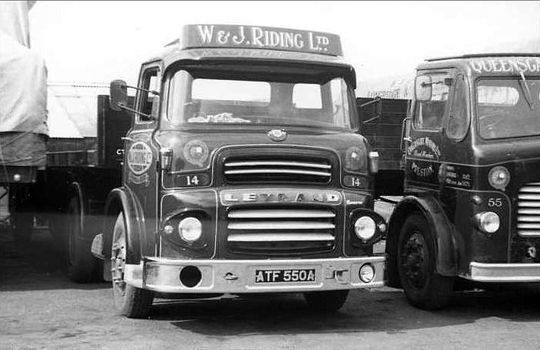 W & J Riding normally bought all their Leyland vehicles direct from Leyland Motors Ltd but this one was sourced from Woodward's of Formby. Riding's were so busy expanding at the time that this particular tractor unit was originally put on the road in Leyland grey primer and was taken off for painting in the following March. Seen here in 1964 shortly after being painted in Riding livery Leyland Beaver Reg No ATF 550A Fleet No 14 is seen here parked up in the yard at Longridge prior to its accident at Borrowby Bridge north of Thirsk, one of three accidents to happen to Riding's over the 1965 Easter period. 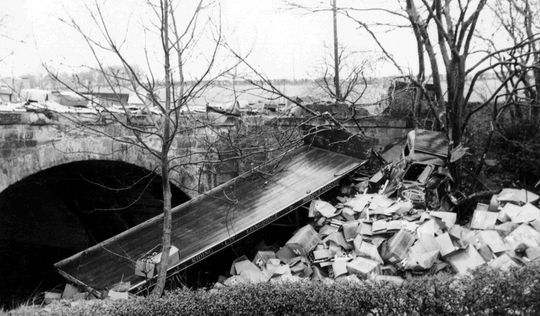 Easter 1965 and disaster strikes when Leyland Beaver tractor unit Reg No ATF 550A, hauling a fully loaded trailer of Terylene spools destined for the ICI plant at Kilroot, came to grief at Borrowby Bridge north of Thirsk demolishing the bridge wall and landing in the river below. 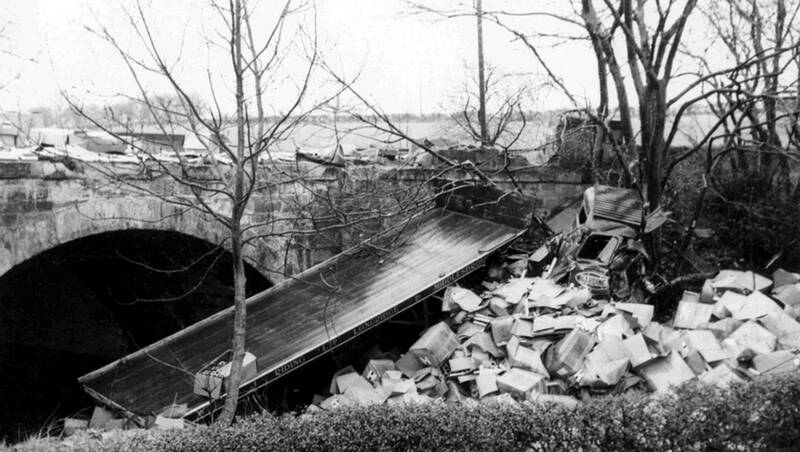 Tom Riding attended the scene personally, who along with other Riding staff, spent the following two days after the accident clearing the river of the Terylene spools and recovering the badly damaged vehicle. 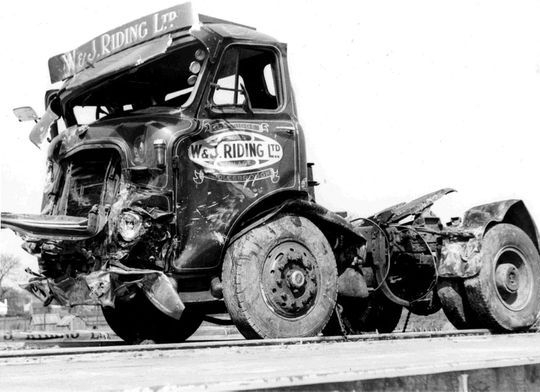 Leyland Beaver tractor unit Reg No ATF 550A Fleet No 14 is pictured here after being recovered following the major accident at Borrowby Bridge north of Thirsk. Fresh out of the paint shop and ready for the road. 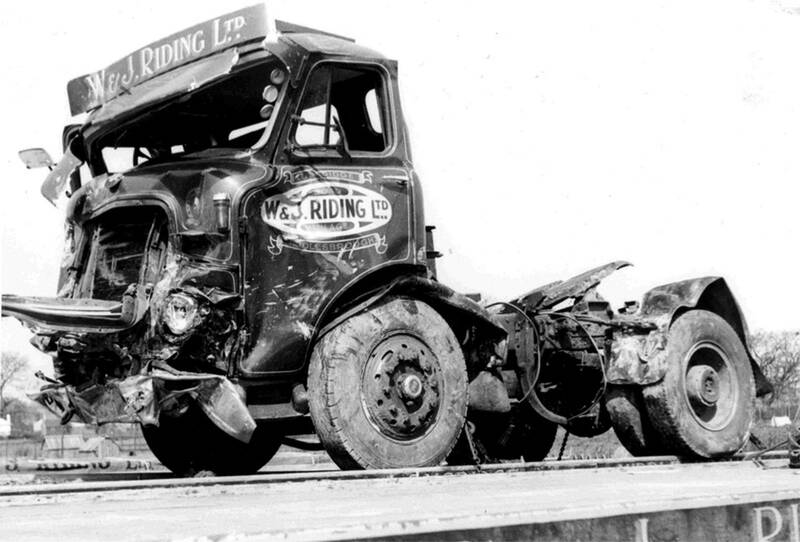 Leyland Beaver tractor unit Reg No ATF 550A Fleet No 14, is seen here after been completely rebuilt following its accident at Borrowby Bridge. It remained in service with Riding's for another seven years, after which time in 1972, it was sold on to a transport company in Kenya Africa for £625. 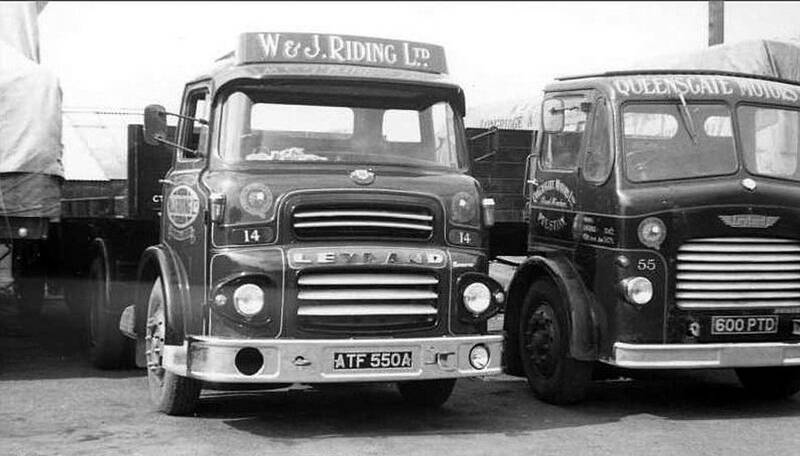 Old Leyland's never die, they simply emigrate and find a new life as was the case for Leyland Beaver Reg No ATF 550A. 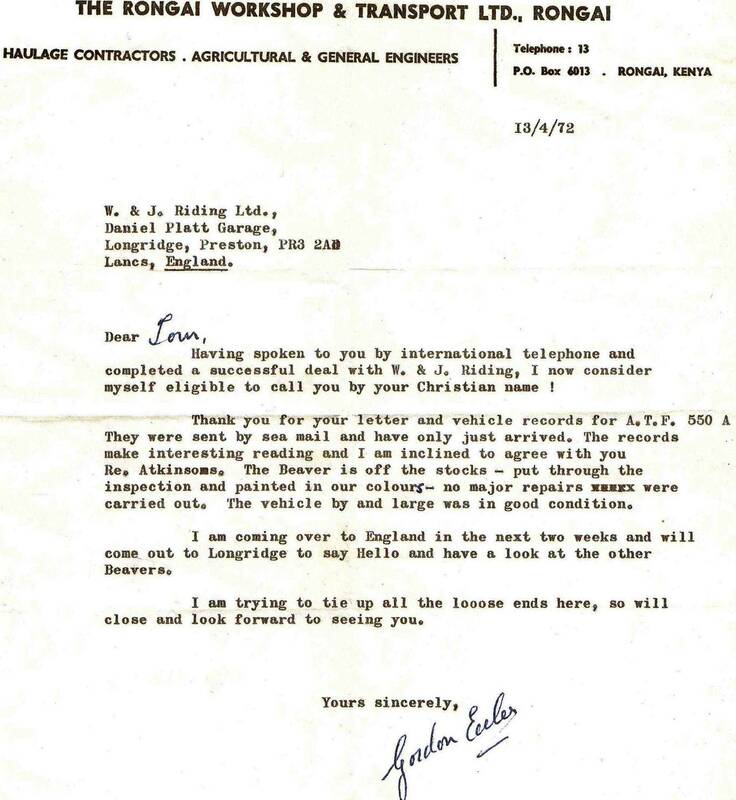 It was sold for £625 on the 31st of December 1971 to Rongai Workshop & Transport Ltd Haulage Contractors who are based in Rongai Kenya. 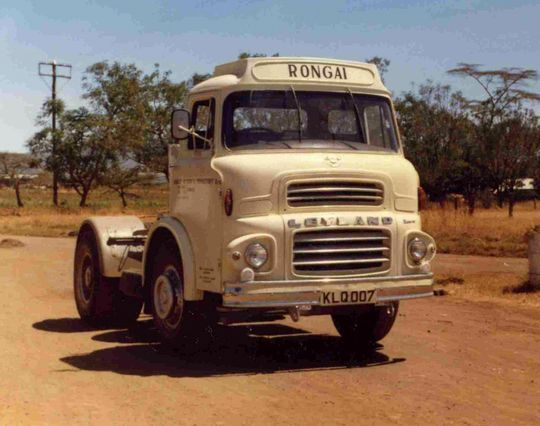 On arriving in Kenya the company put the vehicle through a thorough inspection finding no faults what so ever then gave it a new livery as can be seen in the picture above. 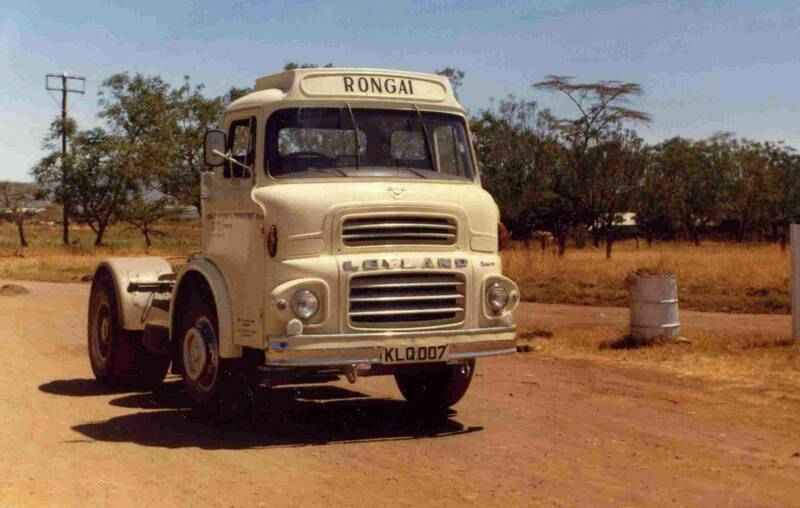 Rongai Workshop & Transport Ltd are still very much in business today as can be found on their website HERE. 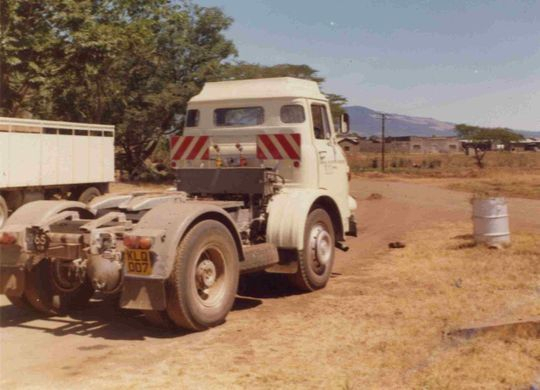 A rear view shot of Leyland Beaver 4x2 tractor unit Reg No ATF 550A in 1972 at its new home in Rongi Kenya. 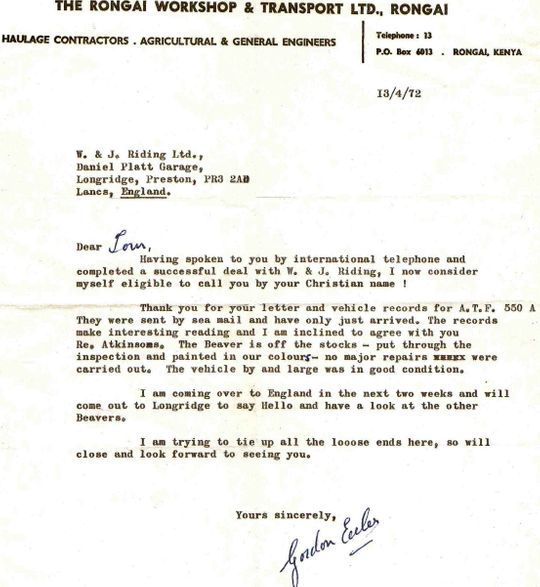 A copy of a letter received by Tom Riding from Rongai Workshop & Transport Ltd after they had purchased Leyland Beaver 4x2 tractor unit Reg No ATF 550A in 1972.